In the Basics of Biochemistry unit students are introduced to the major classes of biologically important molecules and the types of reactions used to build and break apart those molecules. The structure and function of water, as the medium of life, is also a focus. Compounds of carbon, hydrogen and oxygen are used to supply and store energy. 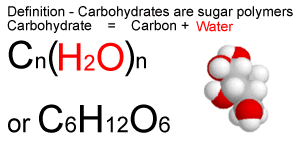 Carbohydrates (also called saccharides) are molecular compounds made from just three elements: carbon, hydrogen and oxygen. 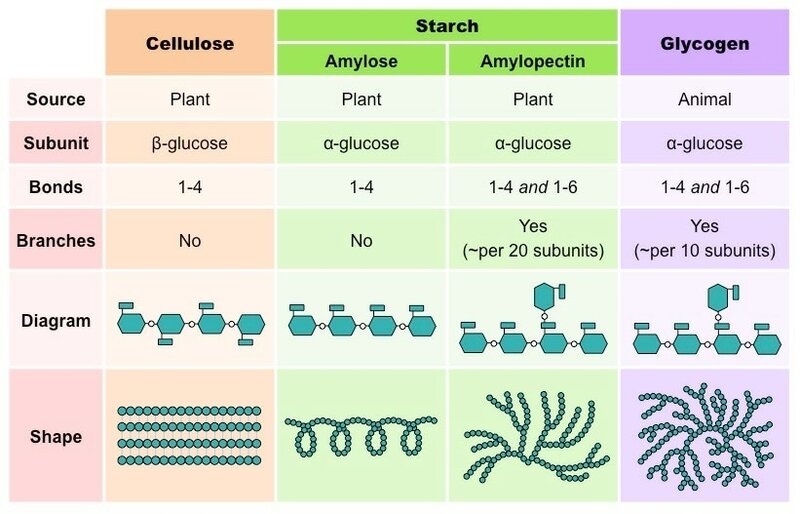 Monosaccharides (e.g. 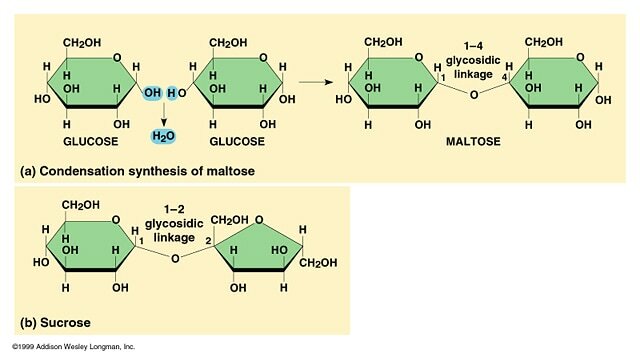 glucose) and disaccharides (e.g. 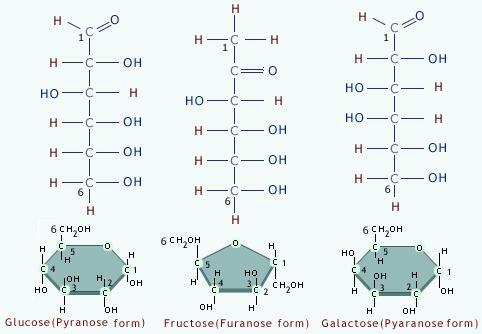 sucrose) are relatively small molecules. They are often called sugars. 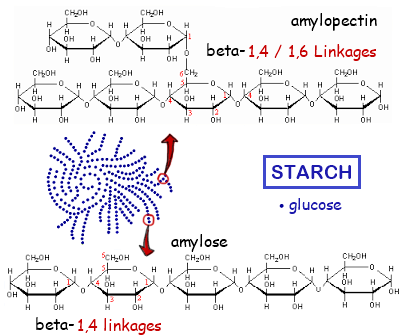 Other carbohydrate molecules are very large (polysaccharides such as starch and cellulose). Hydrolysis bonds break these bonds. Hydrogen atoms attached to every carbon atom. All of the carbons are attached to each other with single bonds. A pair of hydrogen atoms in the middle of a chain is missing, creating a single gap that leaves two carbon atoms connected by a double bond rather than a single bond. A pair of hydrogen atoms in the middle of a chain is missing, having more than one gap that leaves two carbon atoms connected by a double bond rather than a single bond." ​ 2.3.U.3 Unsaturated fatty acids can be cis or trans isomers. (Oxford Biology Course Companion page 82).Describe the differences between cis- and trans- fatty acids. While a saturated fatty acid is a straight molecule on the average, the double bond in an unsaturated fatty acid produces a kink in the molecule. This is because a double bond cannot rotate. The bend in the carbon chain is much more pronounced in the cis isomer compared to the trans isomer. For this reason, cis fatty acids (and triacylglycerols made from them) do not solidify as readily as trans fatty acids. Due to the larger bend, the cis isomers cannot line up next to one another in as ordered a fashion as the trans isomers. The configuration of the double bond in an unsaturated fatty acid can take two forms (or, to chemists, isomers): the naturally predominant cis form, in which both of the hydrogen atoms are on the same side of the chain; and the uncommon-in-nature trans isomer, in which the hydrogen atoms are on opposite sides. The trans form is (in most cases) best thought of as 'damaged'. 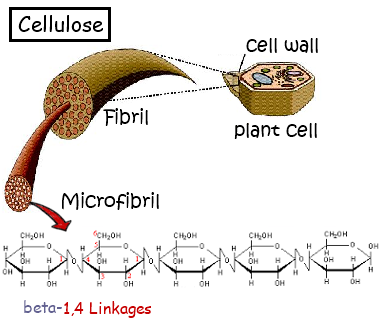 ​2.3.U.4 Triglycerides are formed by condensation from three fatty acids and one glycerol. (Oxford Biology Course Companion page 77). 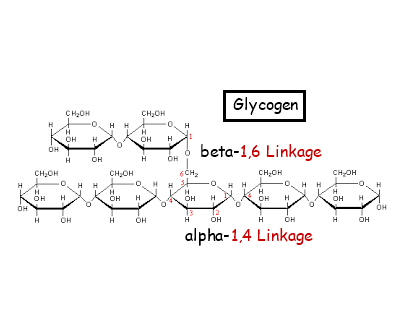 Explain a condensation reaction connecting fatty acids and glycerol to form a triglyceride. Triglycerides are lipids consisting of one glycerol molecule bonded with three fatty acid molecules. The bonds between the molecules are covalent and are called Ester bonds. They are formed during a condensation reaction. ​Triglycerides are hydrophobic and so insoluble in water. The charges are evenly distributed around the molecule so hydrogen bonds to not form with water molecules. Discuss the relationship between saturated fatty acids and/or trans fat intake and rates of coronary heart disease. 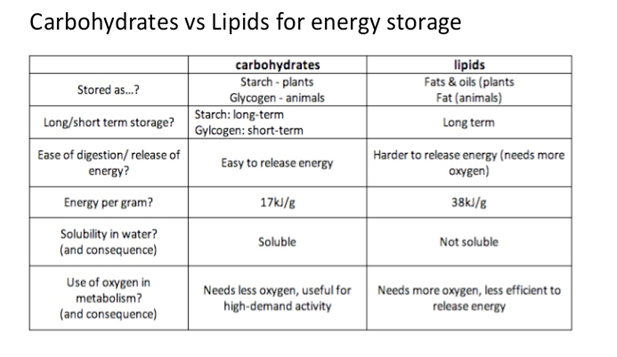 ​​ 2.3.A.3 Lipids are more suitable for long-term energy storage in humans than carbohydrates. (Oxford Biology Course Companion page 78). It is useful consider BMI alongside waist circumference, as increases or decreases in weight outside the healthy range may increase your health risks. ​BMI compares your weight to your height, and is calculated by dividing your weight in kilograms by your height in metres squared. 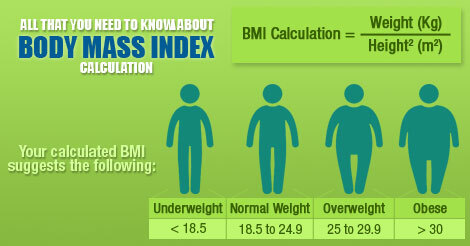 ​It gives you an idea of whether you’re underweight, a healthy weight, overweight, or obese for your height. BMI is one type of tool to help health professionals to assess risk for chronic disease. Another important tool is waist circumference. It is also important to understand your other risk factors. ​The Body Mass Index (BMI) Nomogram is a graph that shows a person's Body Mass Index as the point on the chart nearest the dashed line (representing the Body Mass Index) where height (in inches or centimetres) and weight (in pounds or kilograms) intersect. Height is shown on the x-axis in centimetres or inches, and weight is shown on the y-axis in kilograms or pounds. Dashed lines, representing the Body Mass Index, are displayed on the graph as calculated by the formula of weight (in kilograms) divided by height squared (in metres). ​​Correct use of terminology is a key skill in Biology. It is essential to use key terms correctly when communicating your understanding, particularly in assessments. Use the quizlet flashcards or other tools such as learn, scatter, space race, speller and test to help you master the vocabulary. Here is a good animation on cholesterol. Variation in the prevalence of different health problems around the world could be discussed including obesity, dietary energy deficiency, kwashiorkor, anorexia nervosa and coronary heart disease. There are conflicting views as to the harms and benefits of fats in diets. How do we decide between competing views? Paul Andersen describes the lipids (of the fats). He explains how they are an important source of energy but are also required to cell membranes. He explains how the hydrocarbon tails in triglycerides contain energy available for life. He also explains how phospholipids construct, and cholesterol molecules main the cell membrane. The body mass index, better known as BMI, is a measure of obesity that has been in use for over 200 years. It was a formula created by Belgian mathematician Adolphe Quetelet. It takes your weight in kilograms divides and divides it by height in meters squared.